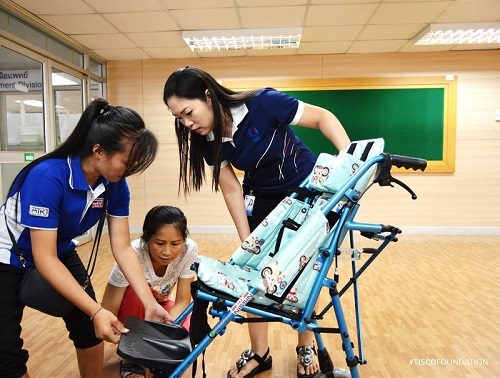 TISCO Foundation: มอบทุนรักษาพยาบาลให้กับเด็กชายธนกฤต เถาวัลย์ โรงพยาบาลธรรมศาสตร์เฉลิมพระเกียรติ - TISCO Foundation donated a medical grant to Tanakrit Thaowan. มอบทุนรักษาพยาบาลให้กับเด็กชายธนกฤต เถาวัลย์ โรงพยาบาลธรรมศาสตร์เฉลิมพระเกียรติ - TISCO Foundation donated a medical grant to Tanakrit Thaowan. 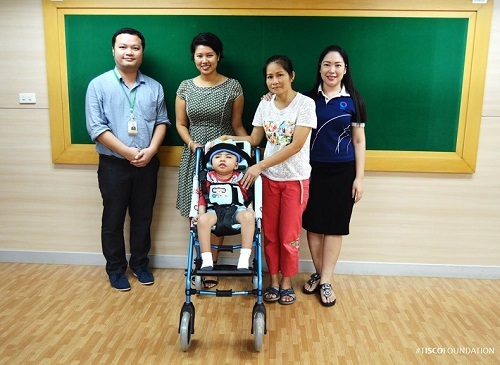 Today TISCO Foundation donated a medical grant to Tanakrit Thaowan, 3 years old. The grant includes a wheelchair with safety belts designed for children with physical and mental disabilities, THB 9,500 in value. This donation has been coordinated by Thammasat Chaloenprakiet Hospital.